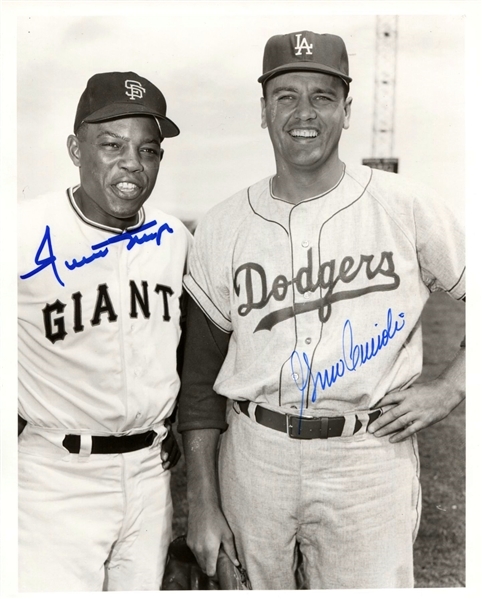 Willie Mays (SF Giants) & Gino Cimoli (L.A. Dodgers) meet for the first time in 1958 as the two former New York teams play each other for the first time on the west coast signed 8x10 photo (later print from the 1980’s off the original negative). Unique!! !